Many children go through an adoration and admiration of horses when they are young. With paint-by-number kits and young adult novels and films based on kids and horses, there’s no shortage of material to keep the love alive. But when those children get a little older, very real and disturbing issues start to emerge that leave a young person feeling helpless and angry regarding the treatment of horses that have lost their “usefulness.” The gorgeous and hopeful Horse Sanctuary, with text by Allison Milionis and photography by Karen Tweedy-Holmes, can serve as an antidote to these realities for a young person whose love for horses and other animals is tangled with concern. 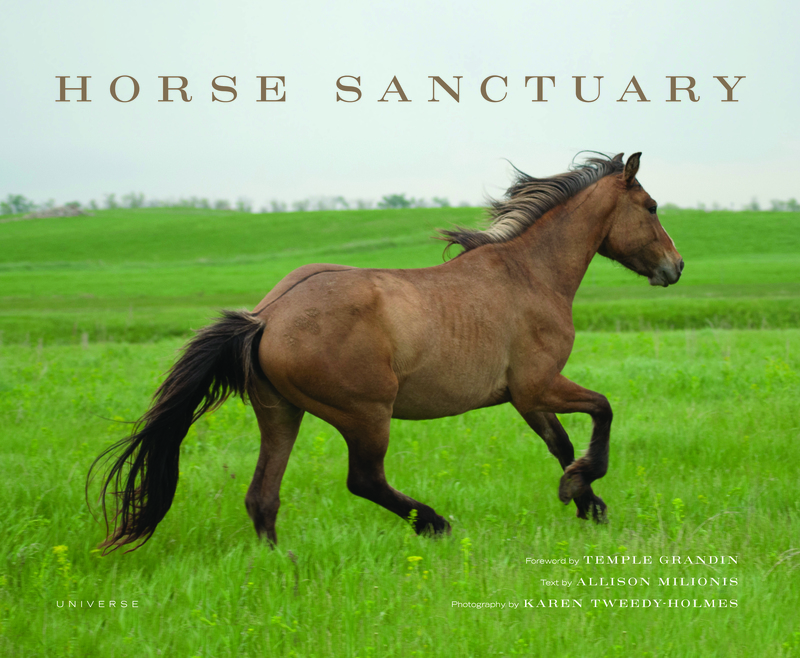 Horse Sanctuary (Amazon affiliate link) beautifully and in great detailed shows 13 of the most well-run and effective sanctuaries for horses around the United States of America. 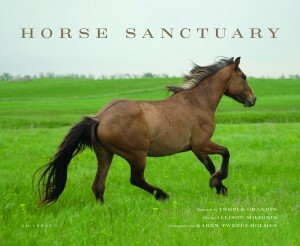 With photos that show lovely and real horses – not show horses – and with vivid descriptions of the wide open surroundings at the equine refuges as well as the creative methods of fund-raising employed by the rescue organizations, this book is truly a hopeful and action-oriented collection of stories. Horse lovers young and old will learn from the text as they admire the generous helping of images through Horse Sanctuary. The difficult tales of near failure from some sanctuaries are juxtaposed with dedicated volunteers and inventive methods of raising revenue. Stories of how some of the horses came to be rescued read like adventures of peril and triumph. And the heartbreak of not being able to save all the horses comes through in interviews with staff at several of the sanctuaries. While some abuses are detailed in the text, there are no images of horses in pain or suffering. To the contrary, the images show playful and loving relationships between the rescues. In addition, there are many photographs showing newborns and colts — emphasizing the hopeful tone of this gorgeous book. Horse Sanctuary is an oversized coffee-table style book, although its substance is much more in-depth than typical in that style. It’s recommended for ages 10 and older, although the photographs will be enjoyed by all ages. I love the sound of this book! I was horse-crazy as a girl and discovered way too young that many beloved horses end up at the auction yard at the end of their lives. I would have loved this book and its beautiful message of hope and compassion!